The Blue Police Box (now called a TARDIS in the Dr. Who series) was once outside the Blackheath Bookshop, Tranquil Vale side. Is it still there ? It certainly isn’t there, although I wish it was! Does anyone know when it dematerialised? Can I point out the site’s wonderful disclaimer: “Doctor Who and its accoutrements are the property of the BBC, and we obviously don’t have any right to them. Any and all crossover characters belong to their respective creators. Alas no one makes any money from this site, and it’s all done out of love for a cheap-looking sci-fi show.” Brilliant! The animation above was by me, except for the TARDIS, which was from Wikipedia. 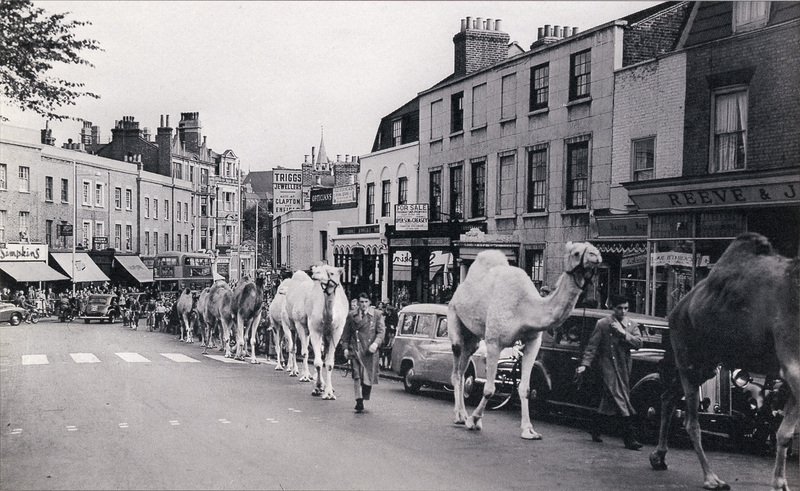 Below is an amazing recollection of Blackheath at the end of, and just after World War 2. Please click on the post to read the full piece. I was born in 1939, so my recollection of the war years are very limited. One night looking out of the front bedroom window I saw a doodle bug passing overhead, on its way towards London, with its typical spluttering sound and flames coming out of the rear exhaust. One day, around about midday, we were at school (All Saint’s), and there was a huge explosion, all the windows at the rear of the school fell out of their frames, I am led to believe, that this was the result of the flying bomb, which had a direct hit on the Weslyan Church in Blackheath Grove, although it is doubtful, that this was the cause. On another occasion, towards the end of the war, there had been extensive damage to a few shops in Tranquil Vale, and having taken my Grandmother’s broom, I helped the Fire Brigade sweep up the glass which was lying on the pavement from all the shattered shop windows. I can still recall the smell of charred timbers, iodine and broken plaster board. Noticed this planning application for an “externally illuminated fascia” on my travels the other day. It is proposed for the estate agency on the corner of Tranquil Vale and Blackheath Village (the high street), which I think used to be known as Tuck’s Corner. You can see the full proposal here (if the link still works, and if it doesn’t, then do a search here for reference DC/08/69555/FT ). At least it is externally illuminated, so I guess it won’t look like a Chicken Cottage. Anyway, if you have strong feelings about this (or any other proposal), you can tell your local planning officer. The email address is planning@lewisham.gov.uk and quote the reference DC/08/69555/FT. The Westcombe Society also operates an excellent blog, noting all the latest planning proposals in the area. What needs fixing in Blackheath? The Bugle loves Blackheath. Really it does. But it can’t help feeling that not everything can be perfect in this Tranquil Vale… If something is annoying you in Blackheath, please add it here in the comments, and the Bugle will send a crack team to investigate. Also, have you tried to fix problems using the fixmystreet.com website? It is a great website, but I’d be interested to know how many successful responses readers have had from Lewisham council in getting faults fixed. 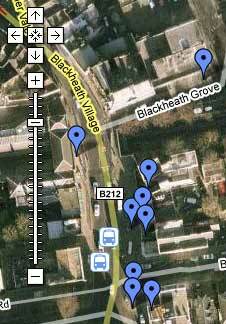 Tagged as blackheath, fixing, fixmystreet, local council, repairs, tranquil vale, What needs fixing in Blackheath?